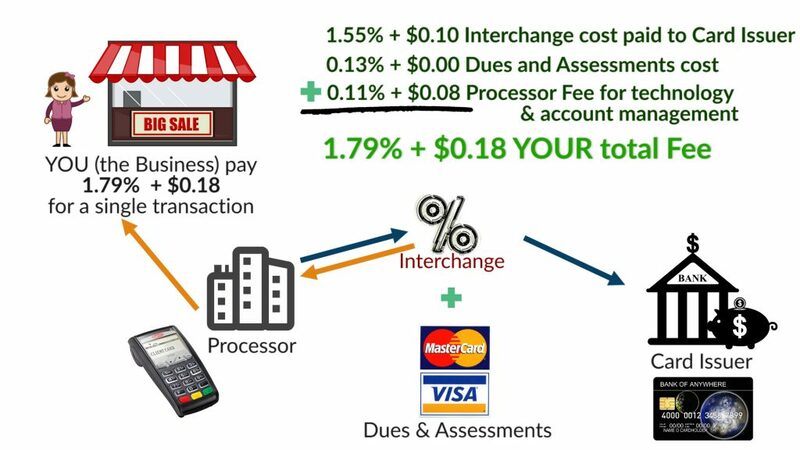 Merchant Account Pricing - What Is Interchange - Fees, Rates & Why It’s Important to YOU! So I’m gonna give you in plain English or as close to it as possible. If you’re familiar with merchant accounts or you’ve researched pricing at all, you’ve probably heard the term interchange and interchange pricing. And that’s because it’s at the core of every pricing model that exists in the merchant services industry… so let’s just make sure that’s understood right up front. Every rate or fee that is charged for accepting a credit card payment, no matter who the provider is, is driven in some way by interchange. so let’s just start with a simple definition. Interchange is a schedule of fees that determine the price and percentage rates (referred to as a “discount rate.” ) for accepting credit card transactions. Interchange is kind of like what the prime rate is for the mortgage or financial industry in the sense that it’s the same for every company and acts like a base cost for processing credit and debit cards. 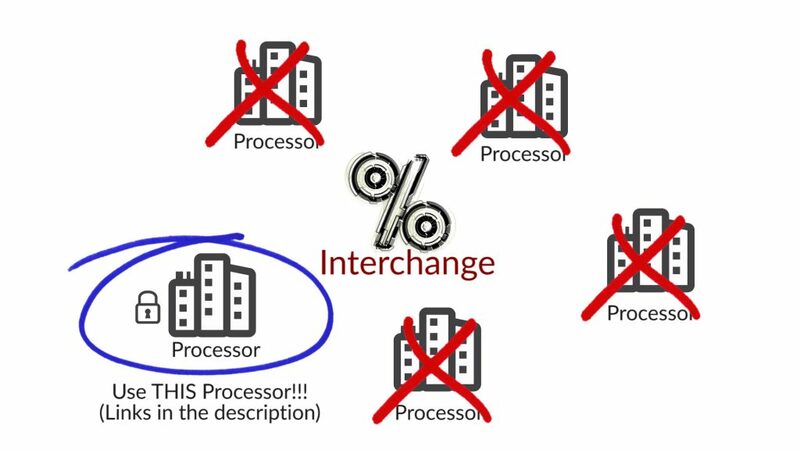 Generally speaking, every processor complies with same interchange rules. However, each processing company does have control over how the transaction is processed in terms of the cardholder data that is captured and sent for authorization (as well as the security that surrounds that transaction) and that could affect the rates you pay. So with that in mind, it does matter what processing company you use. For my recommendation on processors be sure to check the links in the description. ***NOTE: Interchange rates are subject to change and a the card brands publish the rates 2 times per year. So let’s look at the individual fee and where the interchange fee goes (who it’s paid to) and how it’s split up. The merchant account processor simply “passes through” those exact costs to you, just as they paid to the issuing bank. The rate and fee structure that you pay for your merchant account is based on the variables I outlined before as well as the technology solutions offered to you with your merchant account. Okay now, here’s the good part. How does knowing this benefit you? Well, knowing this information allows you to engage in best credit card acceptance practices to help you achieve lower rates. Entering as much cardholder data as possible such as the 3 digit code on the back of the card, the billing zip code and even the full address of the cardholder. This may only apply to certain types of POS equipment or virtual terminals, but if you can enter it, you should. And using the VOID transaction function instead of refunding transaction when possible. Additionally, there is a way to “Optimize” your rates, IF you are using an interchange plus pricing program AND you are using a processing company that allows for this special optimization and rate reduction. And by the way is NOT available with aggregator payment service providers like Stripe, Paypal, or Square. How does it relate to you and your statement? Regardless of your pricing structure (whether it’s interchange plus or Tier based pricing) you always want to pay attention to the end of the month fee, which can be used to calculate your effective rate, and that is listed on your monthly statement. So when your merchant account statement comes each month, you’ll see interchange categories listed on it along with the associated interchange category label. All of those are interchange categories that exist for specific credit cards, that consumers are currently using to pay you with. Each transaction needs to “qualify” for all of the requirements ((in other words, they need to meet all the benchmarks) of each interchange category in order to meet that category rate. So here’s the posted interchange rate table from Visa. and in this schedule of fees, you can see the CPS Rewards 1 category right here.. These rates, again, are what show up on your statement, just like in the example we just went through, as “passed through” to you from the merchant account processors. So use these card acceptance best practices and these suggestions that I’ve laid out for you, to help ensure that you’re doing everything you can to pay as little as possible. Now that you have an understanding of the foundation of the pricing for accepting credit cards, the follow up video I’ll cover the 2 main pricing models in the merchant services industry. Click the link in the description to watch the 2 main pricing models video. Be sure to subscribe so you don’t miss any new content when it’s released. I publish tutorial style training, how-to videos, as well as strategy videos on the the topics of payment processing & Merchant accounts, invoicing and other software tools that make the process of collecting payments from your customers, simply and easy.